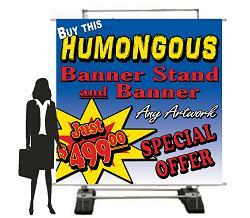 Our Amazing New BannerBillboard™ is your solution for large outdoor banner display. Water filled bases provide support and stability when displaying your graphics outdoors. With adjustable height and double sided display capabilities, The BannerBillboard™ is a versatile display tool that can be used for countless events. *Available single sided or double sided. 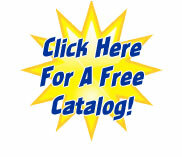 Contact us with your ideas at info@practicalpromotions.com or call us at 931-388-4491.